Sheila Bender works with people who write personal essays, poetry, nonfiction books, stories, writer’s journals, and application essays. 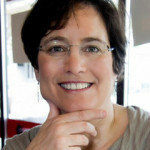 See a complete list of Sheila’s articles. Kurt VanderSluis has been Writing It Real’s co-publisher since 2002. In addition to providing troubleshooting, design support and performance analysis he is also a contributing author. Authors are listed alphabetical by first name.